Providing you the best range of right angle gear drives, cooling tower gear drives, inline gear motors and worm gear motors with effective & timely delivery. We put forth for our clients Right angle Gear Drives (RAD), which finds its usage in various areas such as irrigation, municipal water supply & sewage disposal fire protection, flood protection, cooling towers, wind towers and marine service. 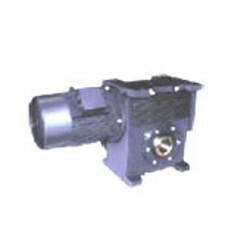 It provides power transmission from horizontal prime movers to vertical pump shafts. Furthermore, it is available in different models, which help in meeting the specific requirements of high and low speed prime movers and pumps. Our client can avail from us, a highly efficient range of Right Angle Gear Drives. These are specifically designed to replace the Marley and Paharpur made cooling tower gearboxes. The Cooling Tower Gearboxes are in single piece construction assuring perfect bearing alignment and toughness. Fabricated using case-hardened as well as lapped alloy steel for spiral bevel gear in single stage and hardened & ground helical gear in the double stage, these gear boxes offer high quality, rigidity and optimum performance. Available in 8 different sizes, these gear drives are highly resistant to adverse temperature and atmospheric conditions. As a well-known organization in this domain, we are offering high quality Inline Gear Motors. These are widely used for transmitting the torque between parallel and right angled shaft. With the help of advanced machines, these are precisely manufactured under the supervision of our diligent team in tune with latest industry norms. Highly demanded for their unmatched performance, these can be easily installed in industrial machines to minimize their noise. 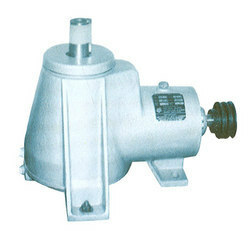 We are placed amongst the renowned organizations of a comprehensive range of Worm Gear Motors. These are manufactured using premium quality materials and advanced technology as per the set industry norms. 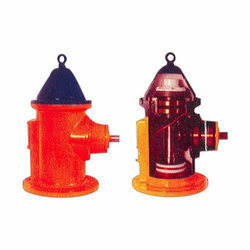 Suitable for reducing the rotational power, these can be fitted with all safety equipments. Highly acknowledged for their excellent performance and trouble free functionality, these are extensively demanded by our clients.